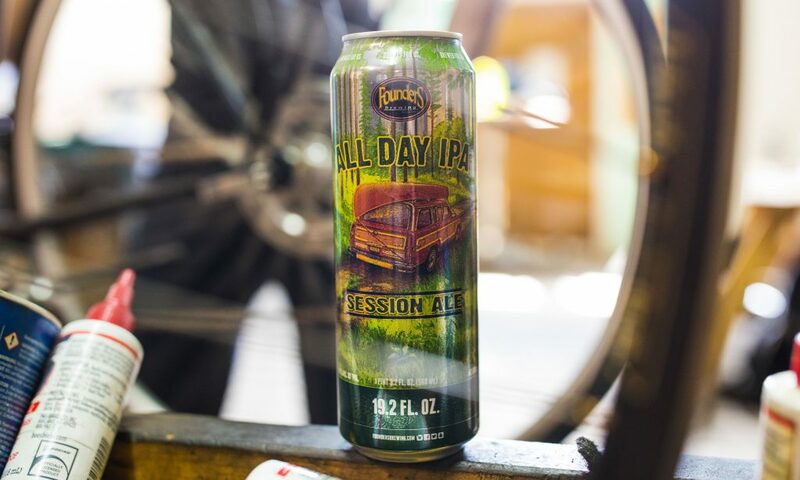 New Product Release: All Day IPA 19.2oz Single-Serve Can - Founders Brewing Co.
Posted on January 17, 2017 by Founders Brewing Co. When we first debuted All Day IPA in 6-pack bottles, it took off as the go-to session beer for craft fans. Crisp and light but with the full-flavor of an IPA, this beer was here to stay. Our first canning line was installed to accommodate the incredible growth of All Day IPA and, in 2013, we began offering it in a 12-pack can package. Shelves could not hold this beer and so, we thought, let’s give the people what they want: All Day IPA and more of it. In 2014, we debuted the 15-pack All Day IPA can package, the “Brewer’s Dozen,” as we affectionately called it, being the first in the craft industry to do so and our brewery hasn’t been the same since. All Day IPA continues to take the craft world by storm: the 15-pack is the largest selling craft can package and All Day IPA is the 3rd largest selling IPA of any kind. Pretty amazing. So, we have decided to put All Day IPA in a new package… one that’s a little taller but still lightweight…. Introducing the 19.2oz All Day IPA can! The 19.2oz can is now available in our Company Store here at the brewery. It will start to appear on shelves in other states beginning in February 2017.